Ipswich City Council launched the Eat Safe Ipswich program in order to promote food safety in our city. All licensed food businesses (excluding temporary food stalls and water carriers) are assigned a star rating based on an audit and assessment of their food management practices. Members of the public can then search for suitable food businesses via the Eat Safe Search portal, searching by the name or address of the business, or by star rating to see all businesses listed in each star rating category. Safety: when a business is operating at high levels of food safety compliance, you and your staff can carry on the business of serving delicious food knowing it is safe and properly prepared. Trust: your customers and stakeholders are able to see at a glance the level of compliance your business holds in terms of the safety, cleanliness and management practices of the food served. Traffic: knowing your food safety star rating and gaining public trust in your business will naturally lead to more visits to your business and recommendations to others from current customers. Visibility: your business will be searchable via the Eat Safe Search portal and across online searches, increasing your professional profile. Incentives: high-performing businesses will be rewarded for their good food practices with potential fee savings, fewer future audits and additional marketing opportunities. After an audit and assessment by an authorised Ipswich City Council officer, food businesses receive a relevant food safety star rating. 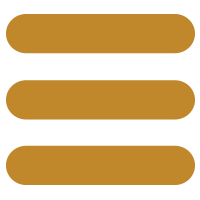 Food businesses achieving three, four or five stars will be provided promotional material for display. Food businesses opting into the program after completion of their audit may use the Eat Safe Ipswich logo to promote star ratings and provide a competitive edge. To opt into the program, the business must sign the Agreement to Display Form. Participating businesses may choose to opt out at any time by by giving Council ten business days' notice in writing and their listing and rating will be removed from the Council website within that time period. Authorised Ipswich City Council officers undertake an audit and assessment of each licensed food business in Ipswich against the provisions of the Food Act 2006 and Food Safety Standards. The trading details of every food business in Ipswich, including the name, location, phone number and license category, is also listed online. Food businesses are already inspected by Council to monitor food safety and structural standards under the Food Act 2006 and the Food Safety Standards. The Eat Safe audits will have no or minimal additional financial or regulatory impact on food businesses already in compliance - other than affording the business additional opportunities to be rewarded for good management practices and documented controls. 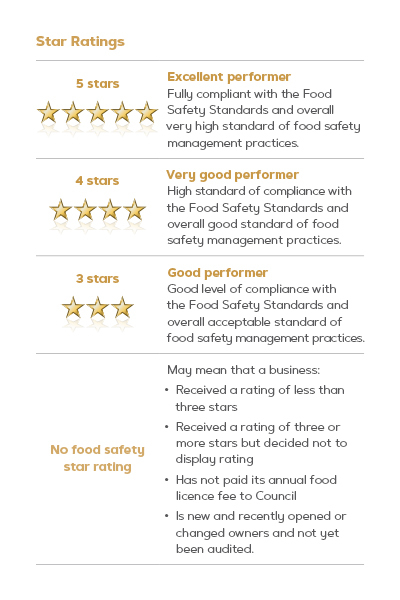 Businesses demonstrating good levels of food safety receive three or more stars and may choose to display their food safety star rating onsite and online. To achieve a four or five star rating, food businesses are required to keep accurate records of good management practices. The required documents are listed in section (B) of the Food Safety Industry Checklist and the Good Management Practices Template has been developed to demonstrate the types of records expected from businesses to achieve the higher star ratings. Businesses can view a range of resources, including factsheets, guides, operational templates and a selection of multilingual materials on the Eat Safe Resources webpage. Should a business disagree with its star rating, a formal application may be made for an audit review. An application for an audit review must be made within five days from date of the audit and supporting documentation is required to clarify the request. To apply for an audit review, complete the Food Business Eat Safe Audit Review Form, attach any supporting documentation and submit a request and associated fee to Council within that time period. Businesses that have made improvements to food safety management practices since the primary audit can request a reassessment audit for a fee. A reassessment is a new audit of the food business and may result in star ratings lowering if non-compliance is found. A reassessment audit will be conducted only after a set time period has elapsed since the primary audit, being a six-month period for ratings of three or more stars and a three-month period for ratings of two or less stars. To request a reassessment audit, complete the Food Business Eat Safe Reassessment Form and submit to Council with the associated fee after the relevant time period has elapsed.